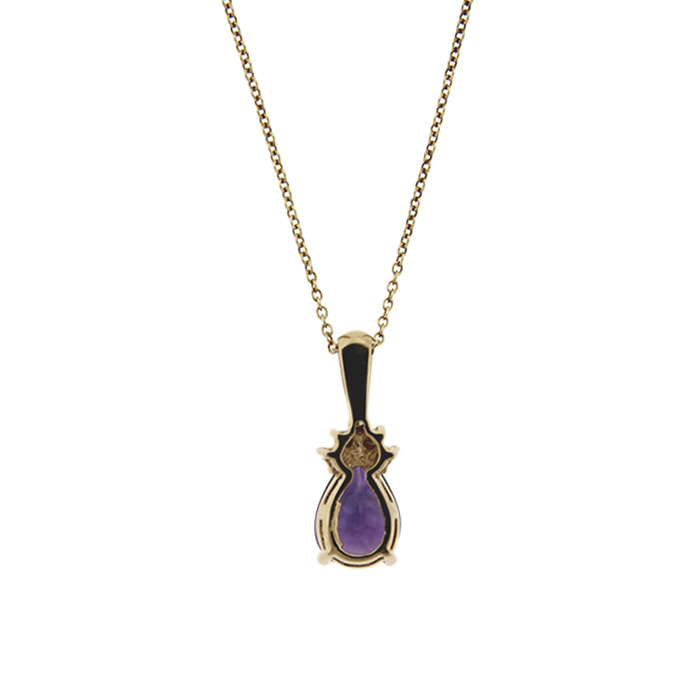 A deep purple amethyst is set in 14k yellow gold and accented with 0.10 ct. t.w. of round diamonds. 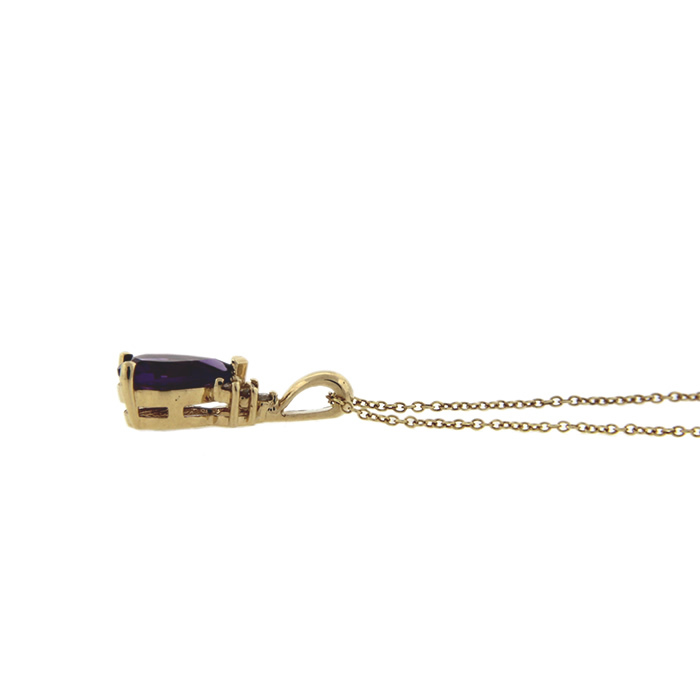 The rich color and bright diamonds make this a piece that you will want to wear everyday!